Peter Moran. Etching. 1884. 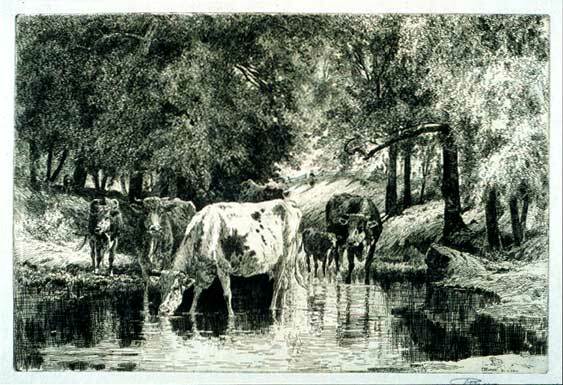 8 x 12 in (20 x 30 cm) (plate). Graphic Arts Collection, National Museum of American History, Smithsonian Institution. SI neg 99-4214.